The proper way to address a mailing envelope is to place the stamp at the top right corner, add the senders return address on the top left corner of the envelope with the recipients full name and... 4.Address the envelope with the recipients address and return address. Add a stamp. Add a stamp. 5.Place the card or letter inside and seal with tape or glue on the top flap. These neat business card marketing envelopes have a pocket behind the window for you to put your business card in the return address area. The window area has a clear lining over it so if your address is on your business cards, all you have to do is take a quick second to slip a business card in to the pocket behind the window.... In the Return address box, type the return address or use the preconfigured one. If you want to use an address in the electronic address book installed on your computer, click Insert Address . If you want to keep the return address for future use, but you don't want to include it on the current envelope, select the Omit check box. 4.Address the envelope with the recipients address and return address. Add a stamp. Add a stamp. 5.Place the card or letter inside and seal with tape or glue on the top flap. 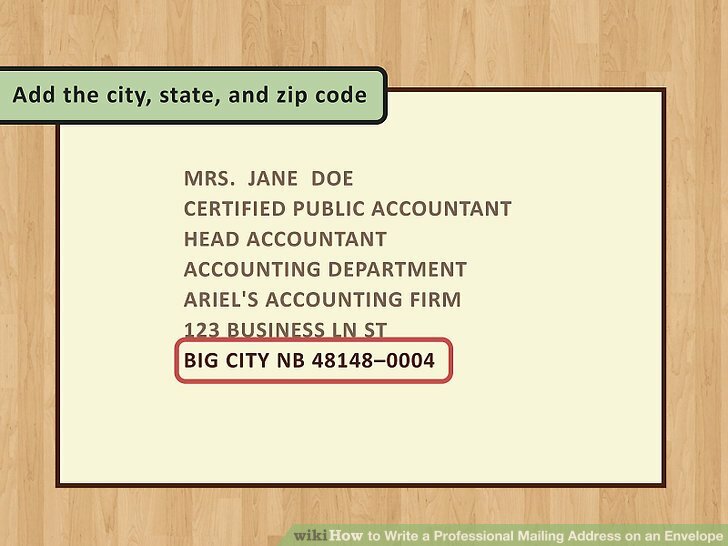 To address an envelope, print the return address neatly in the upper left-hand corner of the envelope. Begin by writing the sender's name and/or the company's name on the first line of the address. Even when the kids are invited, the outside envelope should be addressed only to their parents. Children’s names should appear on the inner envelope on the line beneath Mom and Dad’s. On the first envelope, print YOUR address on the center of it, as if you were getting ready to mail a letter to yourself. Leave the return address EMPTY. Leave the return address EMPTY. Place adequate postage (one stamp, currently $0.46) on the envelope. 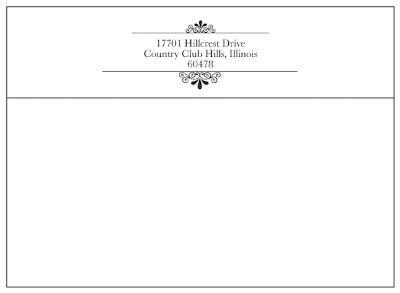 Should the return address go on the front of the envelope in the upper left corner or on the back flap? Wedding invitation address etiquette says the back flap is the preferred place for the return address.